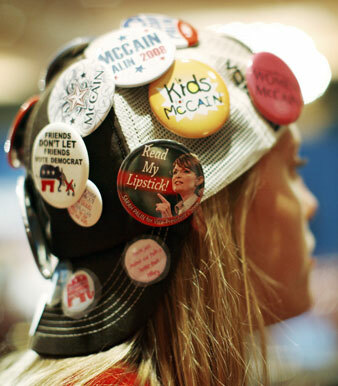 Can the Republican Party survive without the enthusiasm of its young supporters? While these young conservatives may not present silver-bullet solutions to the GOP’s woes, they believe rebuilding the party shouldn’t take a back seat to birthers, deathers and the rest of the far-right fringe. David Laska, the 22-year-old president of New York University College Republicans, says, “We need to start paying less attention to the Tom Tancredo wing of the Republican Party. I don’t think that wing of the party is as big as some people make it out it be.” But if the Scozzafava dropout proves anything, it is that regardless of size, the far right is gaining not only airtime but actual influence within the GOP. For moderate young Republicans, it has become more important that they gain control of their own party than remove Democrats from power. One way in which these young Republicans feel they can combat the unflattering image of what Laska calls the “Bible-thumping, immigrant- hating, closet racist Republican” is to try and steer the GOP back to ideological principles, to present a Republican Party that transcends stereotype. “There needs to be a time to establish a philosophical and ideological grounding to base the party off of,” says Turner. “I fear that the Republican Party is floating among the issues and taking shots at whatever they think is right.” As true arbiters of small government, they find their party’s obsession with upholding certain social values not necessarily productive for either society or the GOP’s popularity. Andrew Clark, communications director of the George Washington University College Republicans, like Foote, sees an opportunity for the Republican and Democratic viewpoints to assimilate somewhat on social issues. While he identifies with social conservatives, on a national scale he finds the economic issues more “important and intense.” Clark also foresees a major shift in how the country views these issues in the future. “I think what is ultimately going to happen in the next decade or so is that we are going to have a fusion of conservative and liberal ideals, and we are going to become a more…libertarian country,” he says. A Pew study released after the 2008 presidential election found a major shift in political affiliation among young people in America. Among those ages 18 to 29, there was a 19-point spread separating Democratic and Republican affiliation, with 45 percent aligning themselves with the Democratic Party and only 26 percent with the Republican Party. These young Republicans seem to grasp just how damaging further erosion of support from young people could be for the GOP. Instead of redesigning websites and coming up with clever names for blogs, the national Republican leadership could listen to leaders within campus communities more. And if the GOP is lucky, this just might bring it into the twenty-first century. Alana LevinsonAlana Levinson is a freelance writer from San Francisco. She currently works and lives in New York.